This book should have been titled "The Last Roman". 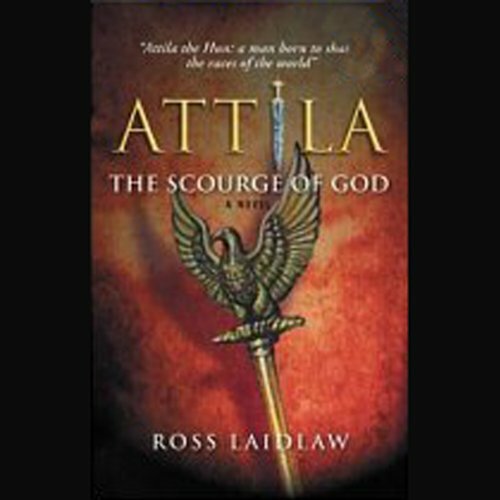 If you get historical fiction to gain insight into cultures and peoples, and if you think this has anything to do with Attila you will be very disappointed. It is another book about the moral collapse of Rome (and there are already plenty of those). This book is definitely not about Attila although he is a character in the book. He's just not the main character as the title implies. Also, the narrater's choice of voice for Attila is absolutely ludicrous...like a bad used car ad. Overall the quality of the story is good but the story is slow at times. The story doesn’t focus on Attila point of view as much as Romans dealing with the fallout from Attila and other barbarian’s action of that time. The plot development is good and as long as a person is not looking for a thrill ride every second I would recommend this book. If you like your history sugar coated than you'll enjoy this book. It's a great story it that makes history come alive. Although very long, I enjoyed it and didn't get bored for even 1 second. I call it sugar coated because with good historical fiction you learn a lot about the times while enjoying a good story. As opposed to non-fiction which is generally dry. It concentrates more on the Roman Empire than on Attila which is fine with me. after four ours of listening i learned quite well about roman history, then i gave up listening. i paid for attila bought roman history book. This is a fascinating period of history and the author shows that he's done his research. But as a novel, it failed for me. The characterisation is negligible, leaving the reader with no idea of motivation. Worse, the narrative has been spiced up with occasional descriptions of massacres and cruelties which seem quite gratuitous since they neither contribute to the narrative nor give you any sense of what it meant to suffer under such circumstances. It's just blood and guts for its own sake. I was unable to listen to both parts because it was just too boring to sustain my interest. Conn Iggulden or Bernard Cornwell would've made it into a ripping yarn. Ross Laidlaw hasn't done the history justice.